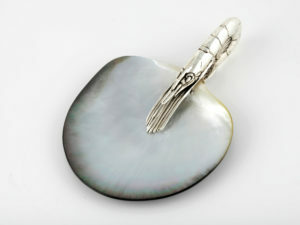 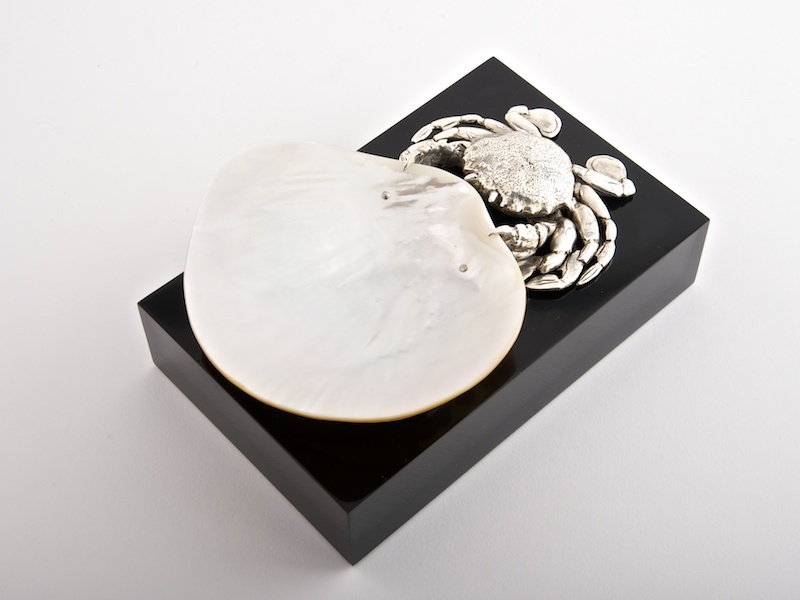 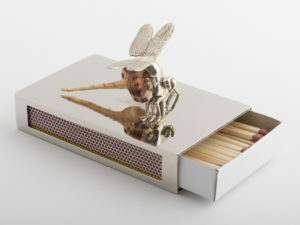 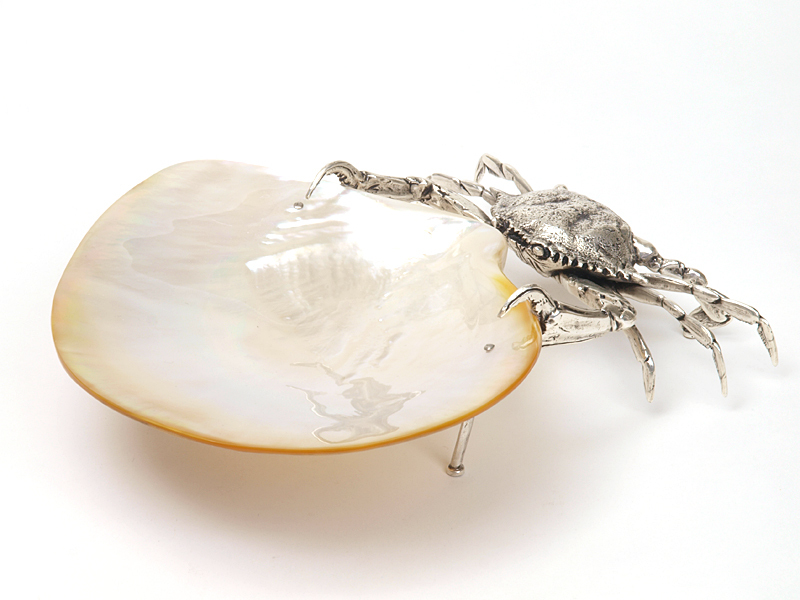 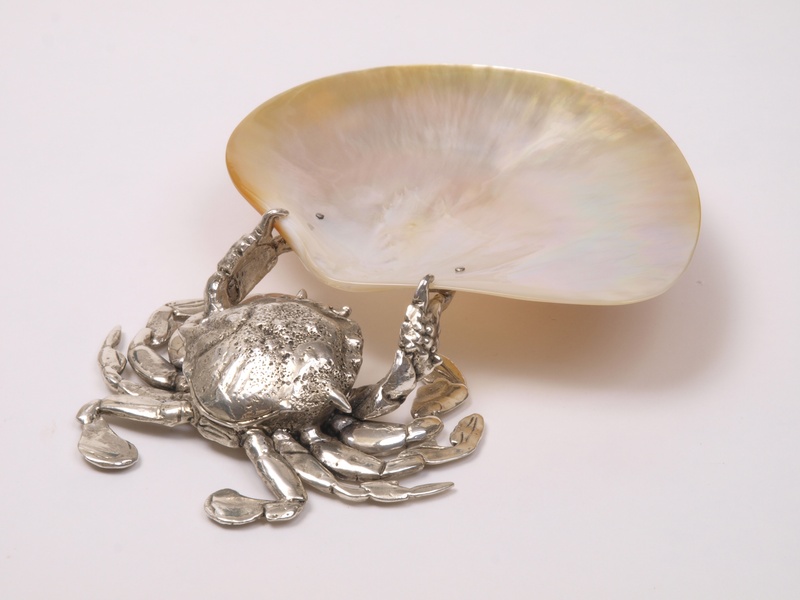 Silver plated handles in the shape of large langoustine with spoon and fork carved from high quality mother of pearl shells. 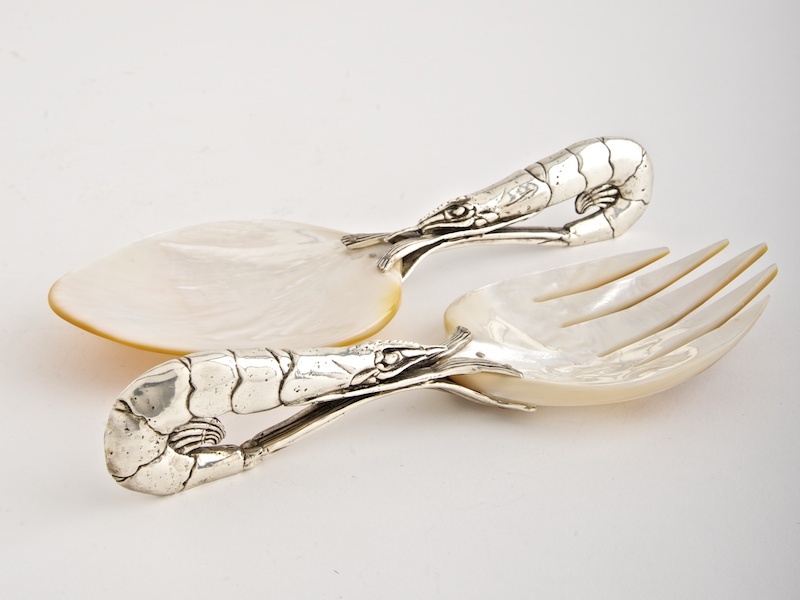 The handles sculpted then cast in brass and finally silver plated. 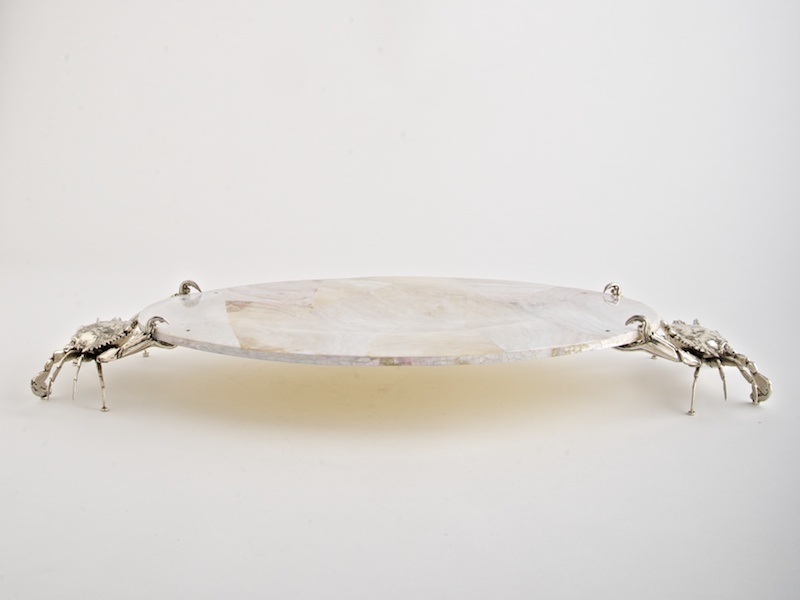 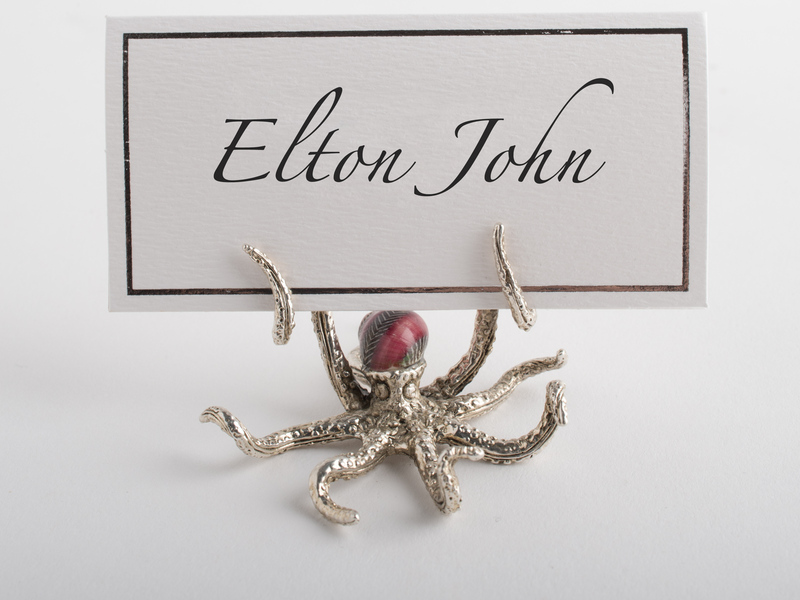 Perfect to serve seafood, salad or pasta.